What are the Staples of Yoga Etiquette? This week we’re getting into the nitty-gritty of studio etiquette. What are the staples of yoga etiquette that keep us flowing smoothly through our classes? It takes a tribe to keep Yoga Fever going, and we always appreciate your consideration of these guidelines. Whether you’re a new friend or a veteran at our studio, these eight topics will help you remain respectful to your classmates, teachers, and self. Scurrying in after class has already begun is not only stressful for you but also distracting for your classmates. Arriving 5-10 minutes before class is always a good rule of thumb. This affords you time to use the bathroom, unroll your mat, and prepare for practice. Maybe you can even throw in a few of your favorite, gentle warm-up stretches. In order to prevent injuries, it’s so important for us to maintain a clean, safe studio. This means keeping the rain, snow, and mud where it belongs - outside the studio. Remember to remove your shoes when you walk in the door and place them on one of the mats we keep handy. Yoga is best practiced barefoot, so kick off your socks too. One of the greatest blessings of yoga is its potential to craft routines around certain parts of our bodies, which means we have plenty of modifications up our sleeves if something’s just not feeling right on a given day. Be sure to check in with your teacher before class if you’re experiencing any injuries or soreness. We’ll help you find a practice that is safe for you. We love when our yoga students become friends and certainly encourage you to get to know your neighbor. By all means socialize before and after class! But once class starts, it’s best to focus all your attention within the four corners of your mat. Yoga class is a time of self-love and self-improvement, and we all focus best when we keep the whispering to a minimum. Eliminate other noises by silencing your cell phones or, better yet, leave them in a cubby outside the studio. Yoga class may be the one time all day when you’re able to fully disconnect from technology, so leave the distracting beeps and buzzes safely outside. It’s hot yoga for goodness sakes - yes, you’re going to sweat! At Yoga Fever, we pride ourselves about the cleanliness of our studio. Though we mop and clean between each class, we sometimes can’t get to the sweat puddles fast enough to prevent other students from encountering them on their way out the door. Do us a solid and grab a complimentary towel before heading into the studio. If you or your area gets a bit messy, a quick sweep of your towel is greatly appreciated. In a hot yoga studio, even the faintest scents travel quickly. To respect your fellow classmates, stick to your gentle, hard-working deodorant rather than applying heavy perfume or cologne prior to class. Savasana is a time for stillness and deep rest that allows your body to fully receive the benefits of yoga. While we truly hope you’re able to stay for the entirety of class, we understand that sometimes you’ll have to leave early. Some yoga is always better than no yoga. But if you do have to leave early, be sure to select a spot near the exit door and be considerate about your timing. Try to make your quiet exit sometime as we make our way to the floor for final stretching poses. What about the Embarrassing Questions? Relax, we get it. Bathroom breaks are totally allowed during class, just be sure to avoid your fellow classmates as you make your exit. And try to avoid leaving during our meditation poses. Runny noses are so common, especially now in the winter months. 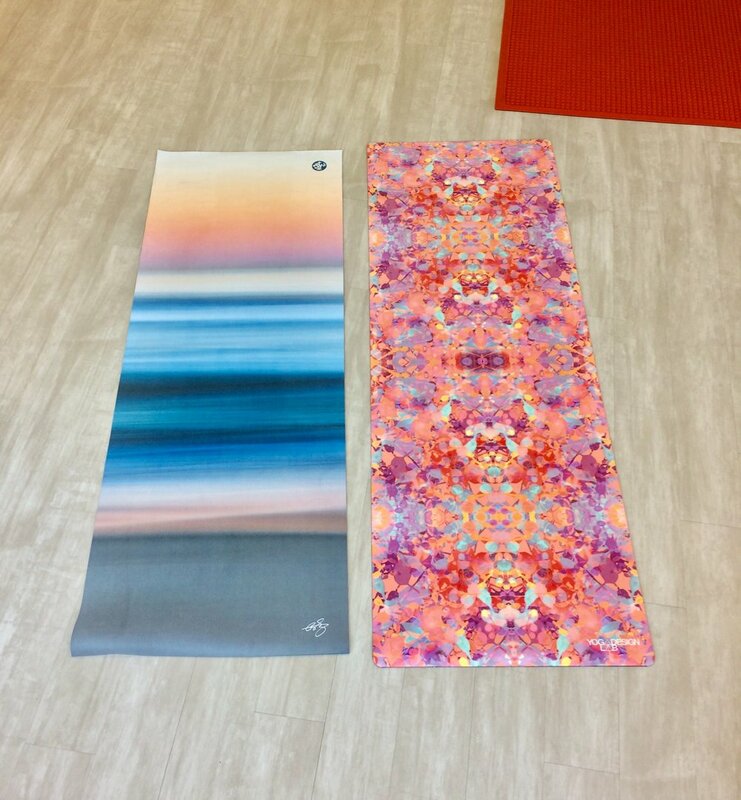 We always have tissue boxes lying around, so feel free to grab a couple to have near your mat. And there’s absolutely nothing wrong with inadvertently bumping into your neighbor during a full class. Embrace it. Enjoy the community, the connection, the tribe. Give each other a smile and keep on moving! You’re in the middle of a big project at work, your child needs to be picked up from school, and your cell phone is ringing. Not to mention the fact that you need to make dinner, clean the house, and maybe just maybe find a minute for yourself. Seriously, when can we get a darn break from this total catastrophe of life? Stress and anxiety exist in each of our lives. It's unavoidable and part of the human experience. However, that doesn’t mean we can’t find ways to manage or reduce the impact that stressful situations have on us. Our daily responsibilities and worries don’t need to overwhelm us. And that, friends, is where yoga comes in. Let’s talk about four ways that yoga reduces stress and anxiety in our lives. Yoga balances our body - The practice of yoga actually counteracts the influence of stress, which often drains our energy and leaves us tense, tight, and tired. Instead, yoga does wonders in reducing tension - almost like a massage does. Child’s pose is, perhaps, the quintessential example of the way yoga helps us decompress. It’s often used as a resting pose or counter-pose to backbends and inversions, allowing our spinal column to relax and inducing a sense of both physical and spiritual surrender. Each time our forehead rests on the earth, it signals the body it's time for rest, peace, and quiet. Yoga balances our mind - In addition to treating our body with care, yoga teaches us to befriend and quiet the dancing/monkey mind. As we cultivate presence and compassion, we’re able to hone in on the actions we can take right now, in this moment. Yoga allows us to ease our frantic mind, and forget about our long to-do lists for the duration of the class. Whether we’re holding a pose or flowing through a sequence, yoga teaches us to focus. We become as some athletes call in 'the zone'. In other words, everything else fades away and we become one with the task at hand --- i.e. yoga. Yoga balances our nervous system - Whenever we experience stress, our nervous system begins to act up, stimulating high adrenaline and blood pressure levels. While necessary in some dangerous scenarios, this reaction can be chronic when triggered repeatedly. We use the breath as our guide in yoga. Instructors constantly remind their students (and themselves) to steady and deepen their breath, through controlled, and sometimes numbered, breath patterns. The process of learning to steady and deepen our breath allows our whole nervous system to calm down and feel peace. As yogis, we know the quickest way to the present moment is through the breath. This is a great lesson we can apply outside the studio when tough situations arise; focus on awareness of breath. Use the breath to calm yourself down and find the present moment. Even when we are facing the eye of the storm. Yoga helps us understand how our mind works - In my opinion, this is the most important point when it comes to long-term stress management. Most of our anxiety results from the way our minds operate to various challenges. The mind can help heal us or it can help cripple us. Yoga practice forces us into mindful awareness of the way in which we react to difficult situations. For example, when you find yourself in a tough place on your mat, do you immediately pull out of the pose? Do you push yourself harder? Do you get angry at the teacher? None of these responses are wrong or right. The point, rather, is that once you identify the way you respond to stress, you’ll be able to consciously choose a different response in the future - preparing yourself to fight back against stress and anxiety. As you see, yoga allows us to slow down and really tune in to our bodies, our mind, and our breath. By simply focusing on one thing, we’re able to decompress and relax. If you’re eager to reap these stress preventative benefits, why not try one of our gentle flow classes, which are our restorative and therapeutic classes - often meditation-based. But don’t think that you can’t learn to balance your body, mind, and nervous system in a hot flow class - because you absolutely can! If you’re new to the world of yoga, you could even try our NEW Wednesday night (9pm) community class for $5 to see what this whole stress-reducing practice is all about. Come on in and try a couple different classes - you totally flipping deserve it!